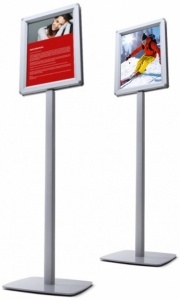 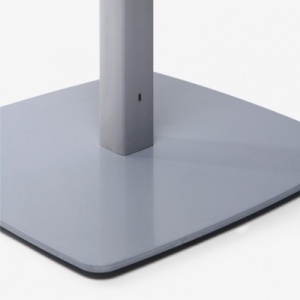 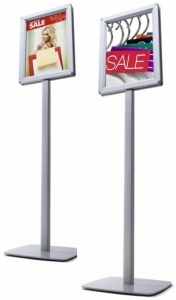 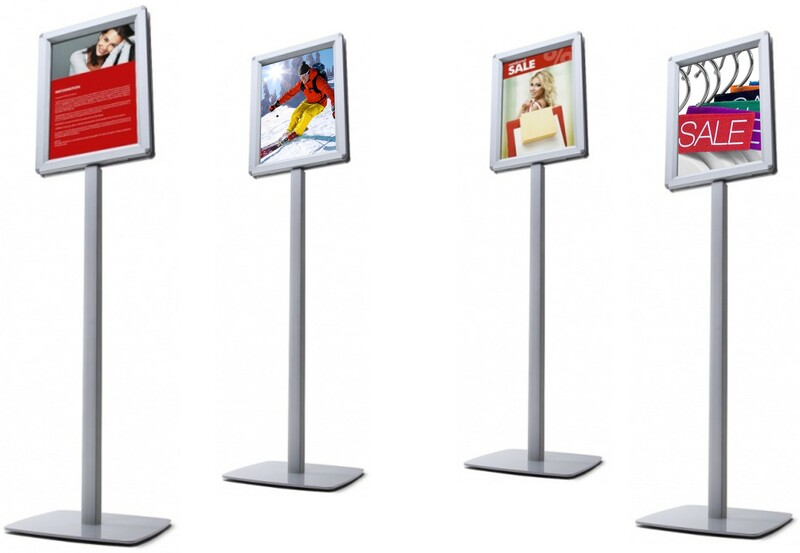 This freestanding double sided sign post stand is available in A4 and A3 Media Sizes. Featuring a aluminium post with a powder coated steel base plate and 40mm double sided snap frames with plastic safety corner inserts. 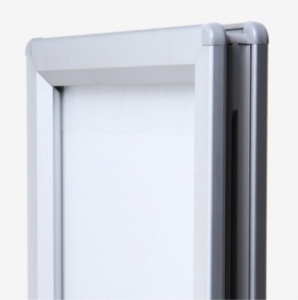 Suitable for internal and sheltered external use it is supplied flat packed for easy self assembly in under 5 minutes.